Time is money, and managing your wealth can be overwhelming. At Drumgoole Financial Services, we’ll protect and grow your assets so you can focus on enjoying them. Drumgoole Financial Services specializes in preparing your family to handle the unexpected. We thrive on giving clients confidence in their future. Rising education costs require a forward-thinking plan. Drumgoole Financial Services can help you prepare for one of life’s biggest investments. One-size fits all policies are best left to vacation bike helmets. 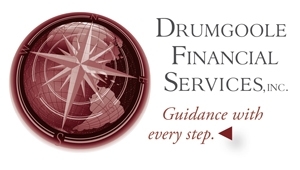 At Drumgoole Financial Services, Inc., we specialize in tailoring our plans to not only fit your current situation, but also provide a foundation for future growth. No matter where you are in your financial journey, we endeavor to take you to the next level. We use a five step process to help our clients successfully reach their goals by discovering their current financial situation, evaluating their options, planning their moves, taking action and reviewing. We clarify your objectives and uncover your fears. What Are We Saving Money For? For families that need to plan for the future, preparing can be an overwhelming task. Our basic starting question is, “what are we saving money for?” We don’t build wealth for the sake of it, so what is truly important to us?